Bank Cottage in Rochford, Tenbury Wells, Worcestershire sleeps 4 people. This delightful 16th-century listed detached house has spectacular views over adjoining countryside and the Teme Valley - noted for its hop and fruit growing. Situated on the B4204 and 2 miles from the spa town of Tenbury Wells, the holiday home is full of original character with a wealth of exposed beams, and has been tastefully refurbished. Within easy driving distance are the cathedral cities of Hereford and Worcester, the Georgian town of Ludlow, and Tenbury Wells with it numerous amenities. Golf and riding, Wyre Forest, Elgar Route, Severn Valley Railway and National Trust properties nearby. Beamed living room with electric ‘wood burner’ and door leading to rear garden. Spacious, modern fitted kitchen/dining area with door leading to garden. Bathroom/W.C. with over-bath shower. First floor: Two beamed bedrooms, each with sloping ceiling; one double and one twin-bedded. 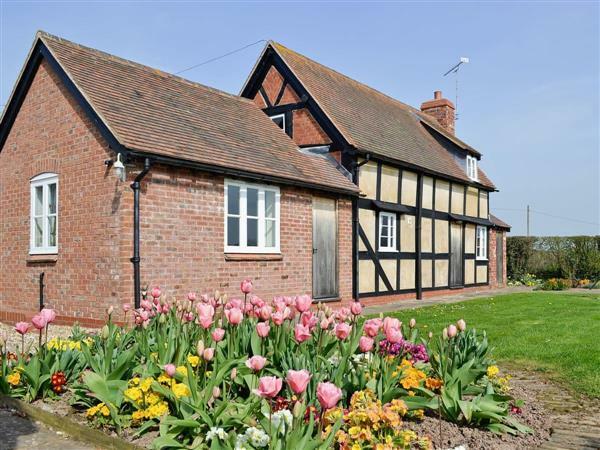 Bank Cottage is in Worcestershire; should you be on the lookout for a special offer, you can find all the special offers in Worcestershire. It's always worth checking to see what is on offer at the moment. Do you want to holiday near Bank Cottage (NW7), you can see other cottages within 25 miles of Bank Cottage; have a look to find your perfect holiday location.